Is it Worth Visiting Machu Picchu in the Wet Season? A long-standing legacy of the mighty Inca civilization, Machu Picchu is an exceptional treasure to visit and, fair to say, an incredible privilege at any time you can get there. However, climatic changes throughout the year – and the much-dreaded wet season of the high central Andes – make many intrepid travellers wonder what the best of year is to plan a visit. 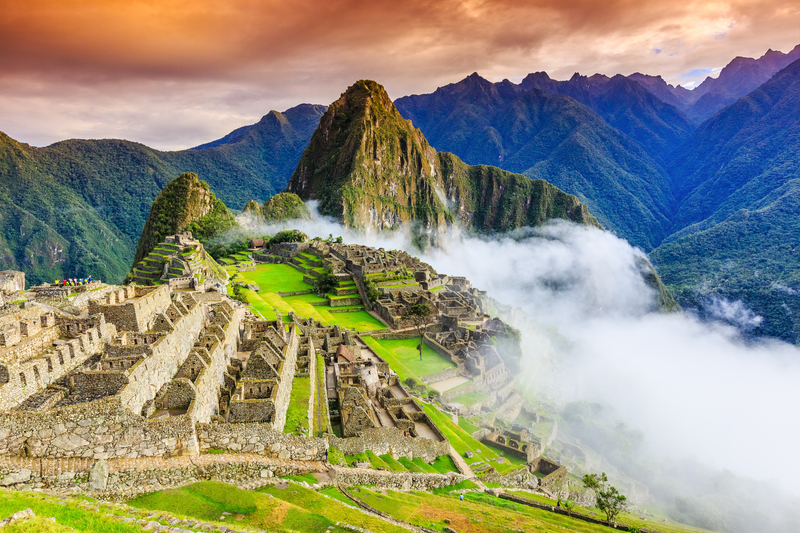 Sure, Peru’s revered archaeological site is spellbinding…but is it really worth visiting Machu Picchu in the west season, or are you just wasting your precious time and money? This is one of the most often-asked questions we field here in the Chimu Adventures office and it’s a fair one at that. Whilst some visitors can choose the time of year they travel, others cannot. 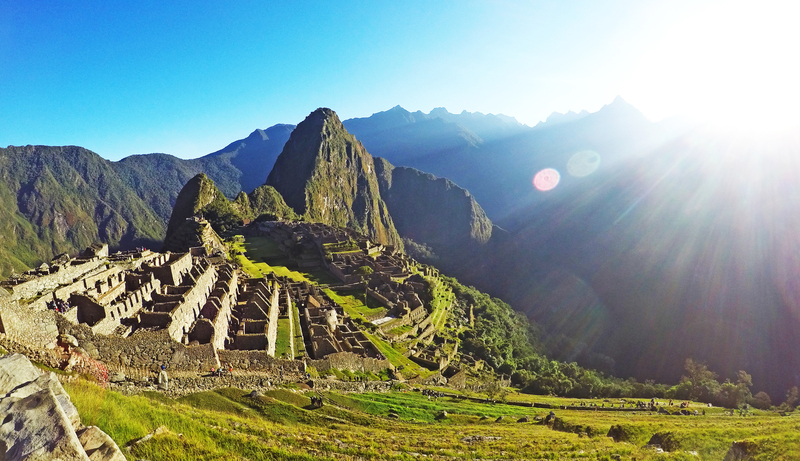 So what if your holiday time coincides with rainy season in Machu Picchu, should you still go? Sure, Peru’s revered archaeological site is spellbinding…but is it really worth visiting Machu Picchu in the west season, or are you just wasting your precious time and money? This is one of the most often-asked questions we field here in the Chimu Adventures office and it’s a fair one at that. Whilst some visitors can choose the time of year they travel, others cannot. So what if your holiday time coincides with rainy season in Machu Picchu, should you still go? Being so close to the equator means that Machu Picchu, the Sacred Valley of the Incas and Cusco, the main base point from where expeditions depart, receive considerably more rain during the summer months than the winter ones. Ironic, in fact, that the driest and best time to visit this high-altitude hub is during the coldest months! Nevertheless, cold temperatures are something everyone can deal with by packing the right clothing. Machu Picchu during the wet season. Not exactly unattractive, is it? Credit: Shutterstock. Just because winter is considered the dry season it doesn’t mean you shouldn’t expect any rain at all. By and large, one should always pack for all eventualities when planning a trip to the Andes, including rains during dry season. Chances of rain are lower, of course, and downpours will be much less severe yet they are certainly not a rare occurrence. Good quality, non-slip hiking boots and wet-weather gear are always a must, no matter what time of year you plan to travel to Machu Picchu. The wet season in Machu Picchu starts in November and lasts until March. However, each month is distinct with January being the wettest, on average. 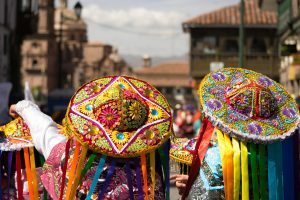 September and October, as well as April and May are ideal shoulder months to visit, as detailed in our piece on the best time to visit Peru. Yes, your chances of rain are slightly higher yet the benefits will far outweigh the drawbacks. We’ll detail both of those below. Many visitors have heard that ‘Machu Picchu closes in February’ when, in actual fact, it is only the Inca Trail that becomes off-limits to hikers due to maintenance and cleaning works. Machu Picchu itself remains open all year, as does the train service that transports visitors there. Although many have heard of the high chance of travel disruption due to floods during the wet season in Machu Picchu, the train has actually only been halted once due to flooded tracks in the last 10 years and that was in January, 2010. One traveller’s nightmare is another’s silver lining: travel to Machu Picchu during the wet season and you will encounter rain. However, what you won’t encounter are big crowds and peak prices. For some, this is certainly worth a few extra drops and heightened chances of cloud cover. If time is on your side and you can include a few extra days into your visit then visiting in rain season becomes much more worthwhile. Plan for an overnight stay in Machu Picchu town and a 2-day visit to the archaeological site. This way, you can dodge the rains – even if extensive – and still have plenty of time to tour the visit unencumbered by rain. It may be called the wet season for a reason but it doesn’t mean that it rains non-stop for days on end. Most of the time, mornings are clear and clouds don’t start rolling in until the early afternoon. If the wet season was the best and most glorious season to visit Machu Picchu then everyone would be arranging their plans to visit then. But they don’t. It’s hard to deny that rainy season has the potential to disrupt travel plans (so we won’t bother to try) but, as far as we see it, as long as travellers know what to expect then the west season can certainly be considered most suitable for a visit. Chances of getting that postcard-perfect photo of a gloriously clear Machu Picchu with resplendent sapphire sky (you know the one we mean) are lower. Cloud cover can be considerable and although this can make for very atmospheric frames it’s not the classic scene some people covet. If you do decide to hike the Inka Trail during the wet season (outside of February) then you’ll have to contend with muddy and slippery trails and, naturally, rain. The wet conditions and warmer temps are prime for insects and high humidity, so you’ll have to deal with those too. You risk being rained out on your visit and that’s why it’s highly advisable to plan an extra few days for the reasons mentioned above. A rained-out day isn’t such a nuisance if you have time with which to play. If you don’t encounter much rain then consider yourself lucky and use your extra day (or two) to visit another site or indulge in some extra sightseeing. Visit Machu Picchu during the wet season and you will miss all the amazing summer celebrations that take place in Cusco, which is admittedly the biggest bummer of all. The sensational Inti Raimi Festival is held in June, during the dry season. Credit: Shutterstock. 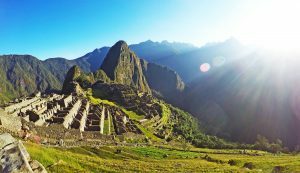 Funnily enough, there are more advantages than disadvantages to visiting Machu Picchu during the wet season although we gather that if you have a fervent aversion to rain, this won’t convince you. At the end of the day, it really does come down to personal preference. If your aversion to crowds is much stronger than your aversion to rain, then visiting Machu Picchu in the wet season is ideal. We’re not saying that (during the dry season) the chances of photographing an uncrowded Machu Picchu is akin to finding a seat on the 5.30pm train from North Sydney to Central on a rainy Monday, but it comes pretty damn close. The crowds here, during the busiest and sunniest months, can be significant. Visit during the wet season, however, and you’ll have abounding space, quiet and peacefulness. It’ll just be you, a few fellow discerning adventurers and a couple of soggy llamas. Perfection. Everything is cheaper during the wet season – from flights to hotels and tours – which is a lovely little bonus, especially as you can use the savings to stay longer. In fact, travelling to Machu Picchu here during the wet season is the #1 budget-saving tip there is. You need not book months in advance! Travel to Machu Picchu in June-August and you will need to book and pay for your entry tickets up to 6 months in advance, as daily numbers are limited by the government and demand is at its highest. Visiting during the wet season allows for last-minute (or at least much closer to the date) bookings. The high Andes around Machu Picchu are beautiful at any time of year but when they’re drenched in nurturing rain the wilderness is simply resplendent. Everything is greener and, as a bonus, you get to feast on all those glorious summer stone fruits to boot. Days are warmer and more pleasant for sightseeing, despite the humidity. You do have a considerable choice when in the wet season you can visit. Five months, to be exact. Be a cunning traveller and skip the absolute rainiest month (January) and, all of a sudden, your chances of a thoroughly drenched trip decrease. A spectacular 8-day journey of South America’s high mountain region, from Bolivia to Peru. See vibrant locals, amazing scenery and remnants of the Inca culture.